And perhaps you’ve had, to this point, a career with an upward trajectory. You’ve work hard and found a field that excites you. You intend to return to the office when your maternity leave ends. But you’re just not quite sure how all of this is going to work out. After a good deal of thought, research, and joining communities of similarly-situated mothers, though, I figured out a framework for how to approach maternity leave and return that leaves new mamas empowered rather than anxious. Confident rather than confused. And grateful rather than overwhelmed. In other words, pretty much the opposite of how I felt when I went through it myself. 1. Learn and implement strategies that will keep you from losing your mind. Starting while you’re pregnant (though it’s never too late to begin), explore what fills you up. Journal about it. Play around with a daily gratitude practice to see if you notice a difference in how you view your days. (I write down 5 things I’m grateful for each night, and sleep tends to come more easily.) Try meditating for 3-5 minutes at a time using an app like Insight Timer. And once you figure out what works for you, start a practice of micro-self care that you commit to doing EVERY DAY. Micro, I note, because really, after baby arrives, it’s hard to get more than a few minutes to yourself…but even those few minutes make a huge difference. 2. Become a logistics ninja. Start thinking about what you’ll need to do each night to get out the door to work in the morning. Pace your child care option exploration throughout your pregnancy. (I visited one daycare center per month, for example.) If you are breastfeeding or planning to, read up on pumping at work tips, and block off pumping time NOW on your work calendar. Schedule a weekly meeting with your partner, to talk to about issues like juggling sick days, snow days, and the inevitable unexpected. Create a maternity leave plan at work, and be conscientious about knowledge transfer and leaving your projects in good hands. Explore phased-in return and flexible work options for when you’re back. 3. See your leave as a leadership opportunity. Okay, so you may be saying “What?! Leadership? You can’t be serious!” But indeed, I mean it. Think about how you can view your leave other than as a pause in your career. Can your leave present an opportunity to grow your team and evolve your own role? 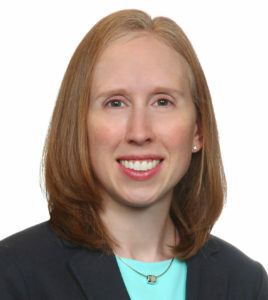 Are there ways to take credit during annual review season for a well-planned leave and return? Are you gaining skills as a new parent (say, amazing problem-solving abilities, prioritizing, rolling with the punches) that are valuable in your workplace? Can you communicate these to newfound superpowers to your colleagues and supervisors? You CAN still have a successful career and a powerful impact on the working world, mama, even if your leadership might look different from how you used to imagine it. 4. Find other working mamas. Community matters. When I went back to work after leave, there was an unspoken rule that I wasn’t supposed to talk about how hard it was. Or that I was struggling. Or that I had changed and grown as a person and employee. There were plenty of other women in my office who had gone on maternity leave and returned, and yet I felt isolated. Then, one day after my second return to work, I sat down with a colleague who had just recently come back herself after maternity leave. We shut the door and found so much power in talking about our shared experiences. It was from that exchange that I was inspired to form a “Returning to Work Community” at my office that meets monthly for lunch and has a Google+ page for sharing experiences and advice. 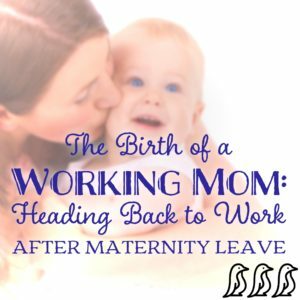 More than anything, it’s been connecting to other returning-to-work mamas who have made the difference in my life. So my advice is to reach out. To connect. To find other women in your community who can say “me too.” And consider forming a “working mom posse” at your office, if there isn’t one there already. Yes, parenthood comes with unknowns and overwhelm that can make going back to work after leave seem terrifying. But, there are also ways to plan a thoughtful and mindful maternity leave and return. AND there are legions of new working mamas out there who are eager to support you through it.